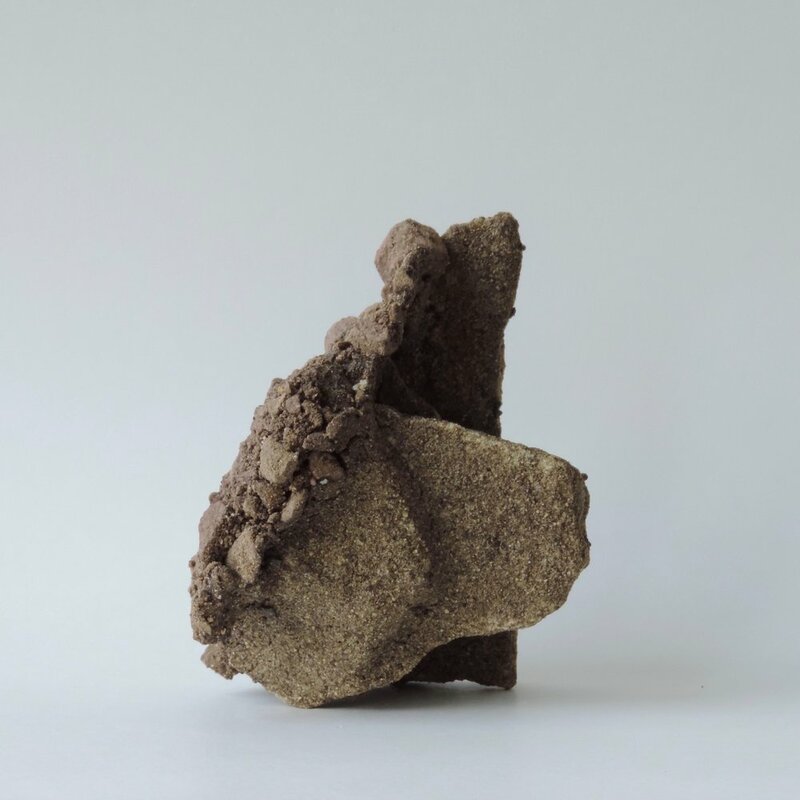 Over the past few months I’ve taken the first steps in producing a new and exciting body of work that reexamines the role of natural materials in the field of ceramic art - particularly within the genre of ‘place-based’ making. While I have been wanting to pursue this work for quite some time, this project could not have been initiated without the assistance from the Jerome Ceramic Artist Project Grant provided by Northern Clay Center. Throughout my career I’ve become mindful of how my preference for certain materials has defined the direction of my work. Focusing on vessel based forms produced using traditional techniques such as wheel throwing and hand building, I have emphasized finding natural clay resources that provide adequate plasticity for a workable material. 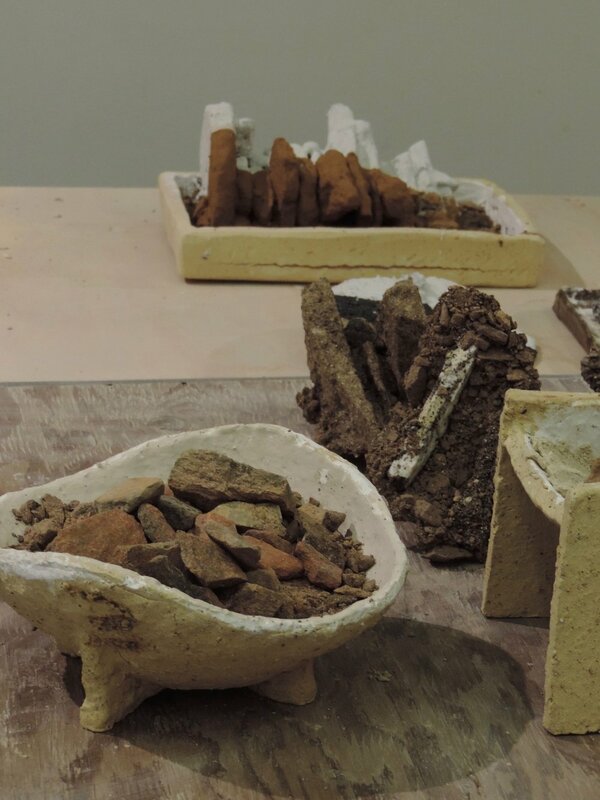 While I have always sought to find clays that meet this requirement while still retaining a strong voice of earth (abundant stones and sand,) I recognize that it has forced me to view non-plastic resources as being secondary to the clay itself. 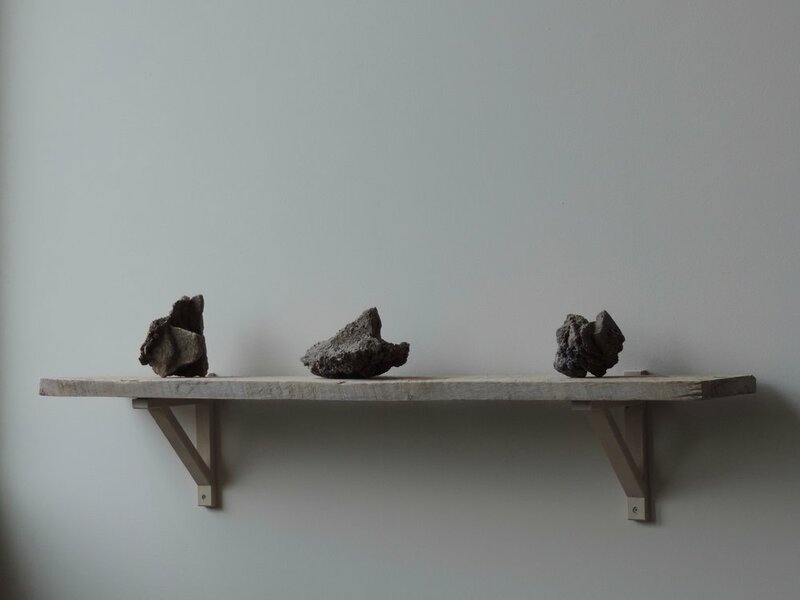 By abandoning the requirements of vessels and traditional techniques, I anticipate that this new sculptural work may help reshape this perspective and place an greater emphasis on non-traditional materials - stones, sands, aggregates, and sediments. My intention for the project is to focus on several unique geological resources and settings which occur throughout the state of Minnesota. 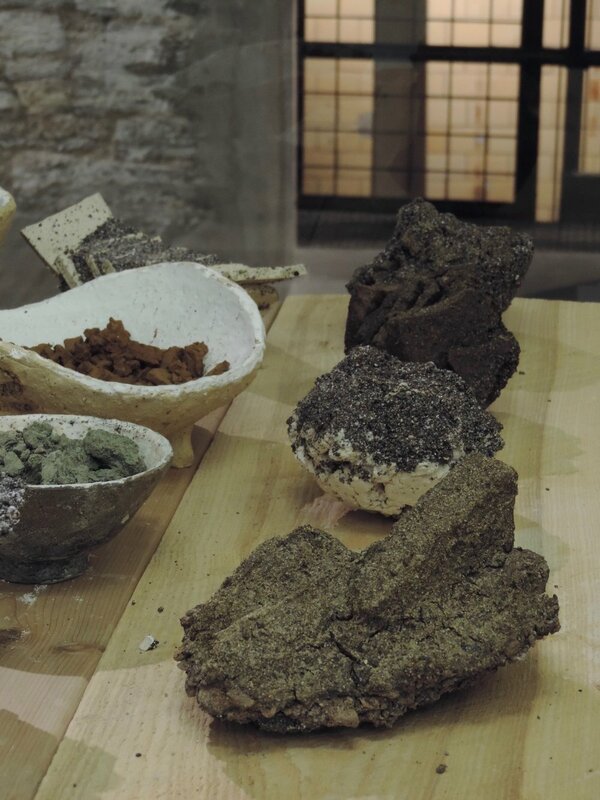 By researching the history of these formations, their impact on industry and Minnesota culture, and their properties in relation to the contexts of ceramic art and sculpture, I intend for each series to interpret and express the unique history of each setting through its own vocabulary of form, surface, and construction technique. I first discovered the Fond Du Lac formation in 2017 while looking for a self fluxing source that could be used in high quantities in my clay bodies. The deposit is exposed along a very localized stretch of land near the Duluth suburb of Fond Du Lac and along the St. Louis River - the largest river feeding Lake Superior. The Fond Du Lac Sandstone is quite rare compared to others throughout the state in that, while most of Minnesota’s sandstones are composed almost entirely of silica from ancient igneous rocks, this formation contains a high percentage of orthoclase (potassium) and plagioclase (sodium+calcium) feldspar, clay minerals and eroded fragments from volcanic rocks of Keweenawan age, dating over 1 billion years old. Based on the publications I’ve researched so far, there are no other sandstones with the same mineralogical diversity and history exposed in the state. The collected samples were fired to 2250 in oxidation to see the effect of their feldspar content. The results were varied, but most samples remained porous and easily breakable after firing - leading me to believe its application might not be best as a grog. After moving on to other options, I quickly returned to the potential of the rock as I began planning for this project. After tests of fluxing the slabs by soaking them in solutions of low fire clay before firing proved successful, I revisited photos of the natural setting for ideas on how to move forward. Formed by seasonal rivers which carried sediments captured in glaciers, the sandstone displays remarkable expressions of cross bedded formations - strata that reflect the annual cycle of these melt-waters. 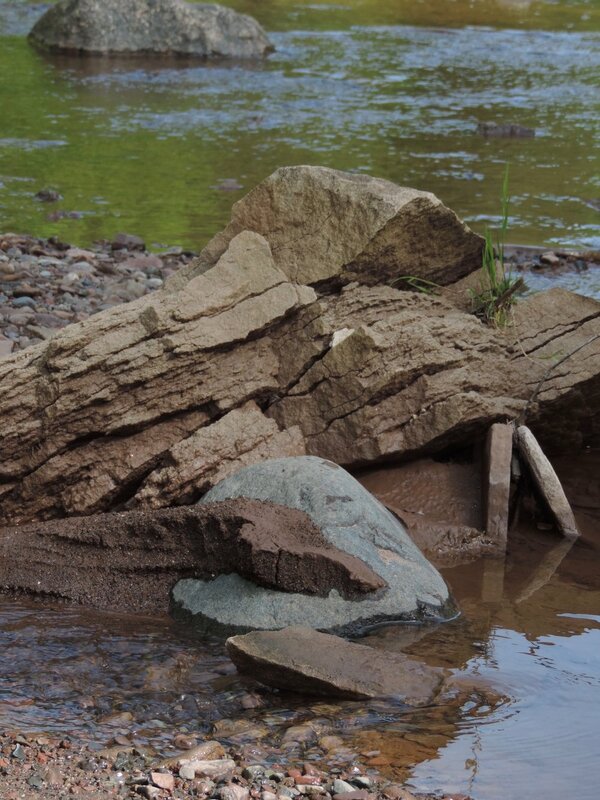 The soft, shale-like slabs are broken free by the waters of the creek and are left in mounds - destined to be further eroded and carried into Lake Superior. I was first amazed by the haphazard beauty of the jumbled piles of sandstone found along the creek and wanted to find a way of revisiting this sense of ‘arrangement’ in my own studio. 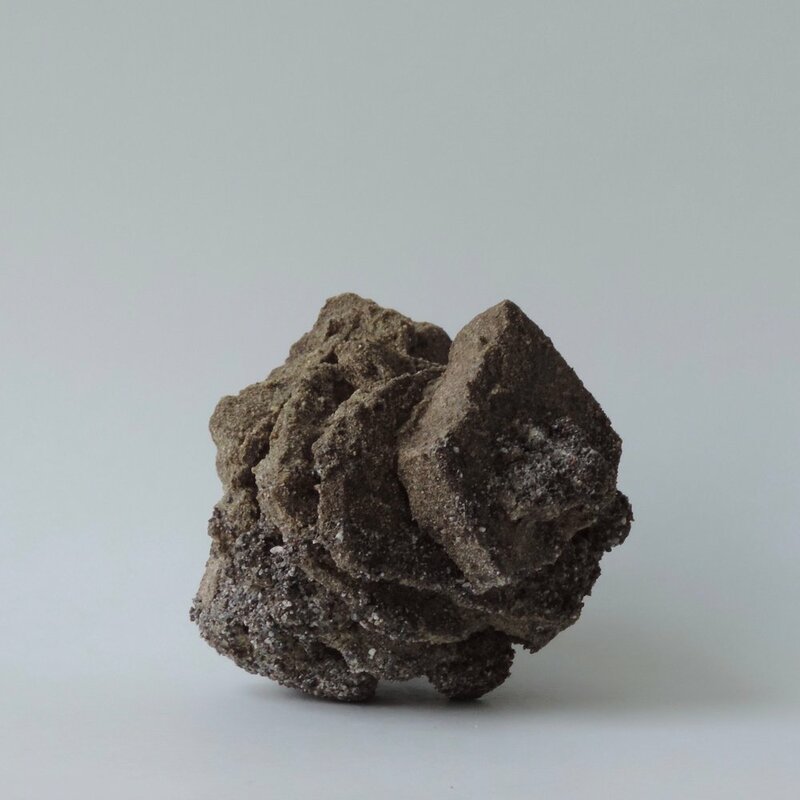 Fragments of these rocks are dipped in a sandy, clay-rich glacial soil which acts as both a glue while assembling and a flux while firing. 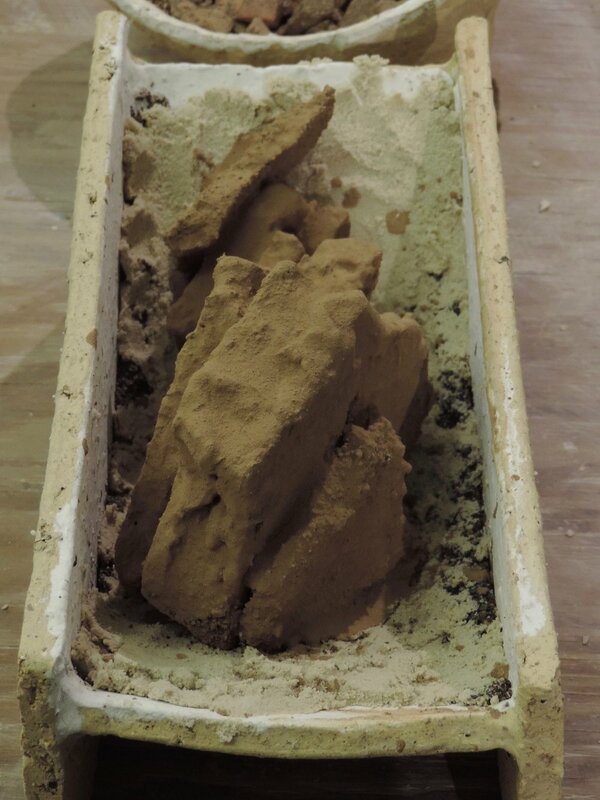 The pieces are fired in fire-clay troughs lined with refractory sands and aggregates. The liner prevents the pieces from fluxing to the trough but fluxes to the work itself, creating a historical sense of orientation that is used to visually support or contradict the overall expression of the piece. The following tests show an interest in a balance between two approaches: My first impulse was to create rhythm, order, and emphasize the presence of line and composition. Yet I found it equally exciting to work with natural chance by picking up and dropping the soil covered rocks into naturally formed piles. My attraction to these unanticipated arrangements was more in line with my first impression of the rocks in their natural setting - placed in whatever order and position the waters are able to achieve. Even without conscious thought, these arrangements have remarkable grace and gesture.